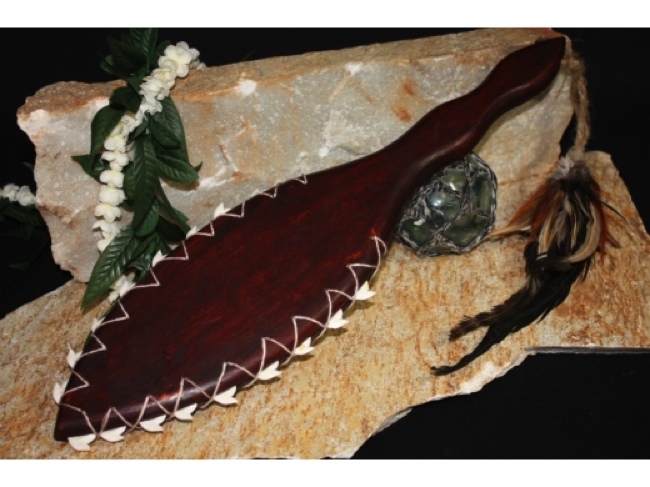 Here is a Hawaiian Shark Tooth Dagger shaped like a tear drop made of acacia Koa featuring a rope with roosters feathers. This beautiful piece of art is 19 long and 7.5 inches wide. There are a total of 18 authentic tiger shark teeth. You can see from the pictures the attention to details. Hawaiian heritage: great piece of Hawaiian wall art!